I am going to be as truthful as ever in this article; to make money online, you must have some certain tools that would enable you to achieve this aim. The truth is that making money online is pretty simple, but you need to have some certain things in place. What are the things you need to make money online? I will list out these things according to their priority, so you can tick the ones you have and go for the ones you don’t have. Without a market, you can’t buy and sell; a marketplace is where the transactions take place. It is what would result in an exchange of money from one person to another. The marketplace is practically where the money is made. Several times we have seen lots of people make recommendations about how to make money online, they end up listing just “where you can make the money” without telling you the other things that you need. The truth is that they are so many of them out there, but you need to know where you belong. 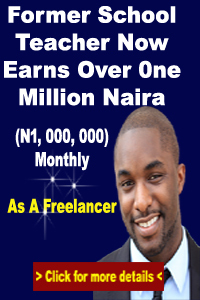 I can tutor you on Freelancing and Affiliate Marketing on Clickbank if you click here. You can start earning even within 3 days of setting up your system. What is the next thing you need to have to start earning online? This is exactly the most important of them all – without the right information, you can’t make money online. The information you need will help you set up your store in the marketplace to attract customers. Take this information as someone who decides to go into importation, you would need to know the in and out of the importation business. If you don’t have the right information, you will end up accruing losses for yourself. Most people complain that they don’t make money online; the truth is that they never had access to the most vital information. 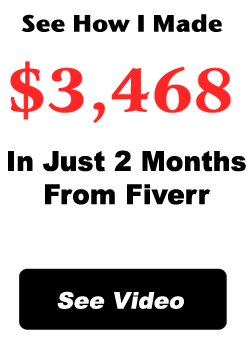 When it comes to affiliate marketing and freelancing on fiverr, I have the best information. If you need them, you can see more details by clicking here to learn Fiverr Freelancing. E.g. on Fiverr, most people won’t tell you that you need to download the fiverr app to be able to secure more clients (you can pay me for this information). That is one secret that they won’t reveal to you. I am ready to reveal more secrets to you if you become part of my students. If you decide to go into Garri selling business, there are certain trade secrets that only insider can tell you. The same applies to make money online; whichever marketplace you find yourself, there are sales secrets that you need to know. If nobody tells you about it, you will have a hard time making money on any of the marketplaces. That is the reason you need a mentor, which is why I am here to guide you on what you need to do to start making money online. I have prepared a lot for all intending students who are passionate about making a living on the internet; make sure you visit the link below to start making money on places like Fiverr and Affiliate Marketing.